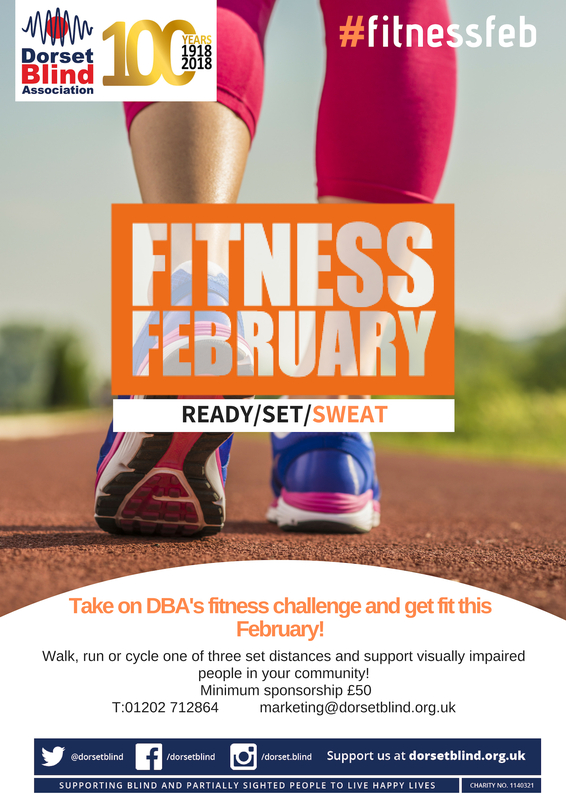 Support visually impaired people across Dorset this February by joining our Fitness February Challenge! Help us raise awareness and vital funds by signing up to one of our three fitness challenges! Push yourself to walk, run or cycle the entire length of Dorset in 28 days, by signing up to our hardest fitness challenge and become a Dorset Hero! Test your limits by walking, running or cycling half the length of Dorset in 28 days, by signing up to our medium intensity challenge and become a Dorset Champion! Improve your stamina by walking, running or cycling quarter of the length of Dorset in 28 days, by signing up to our easiest intensity challenge and become a Dorset Devil! Download your free fundraising pack, with hints and tips on how to maximize your fundraising opportunities whilst taking on your Fitness February Challenge! If you would like more information or to get involved please contact us here. Already signed up to your Fitness February Challenge? Set up your fundraising page now!